When I started this post, I was saying hello from the historic Lake Quinault Lodge on the shores of Lake Quinault nestled in the rainforested Olympic Peninsula where we were wrapping up our trip to the National Park and the coast, sitting in the great room of the lodge and waiting out the rain, warming ourselves with fire and coffee. Now hours later, we are on a ferry headed back to Seattle–it’s been a fabulous weekend, and a long trip back. 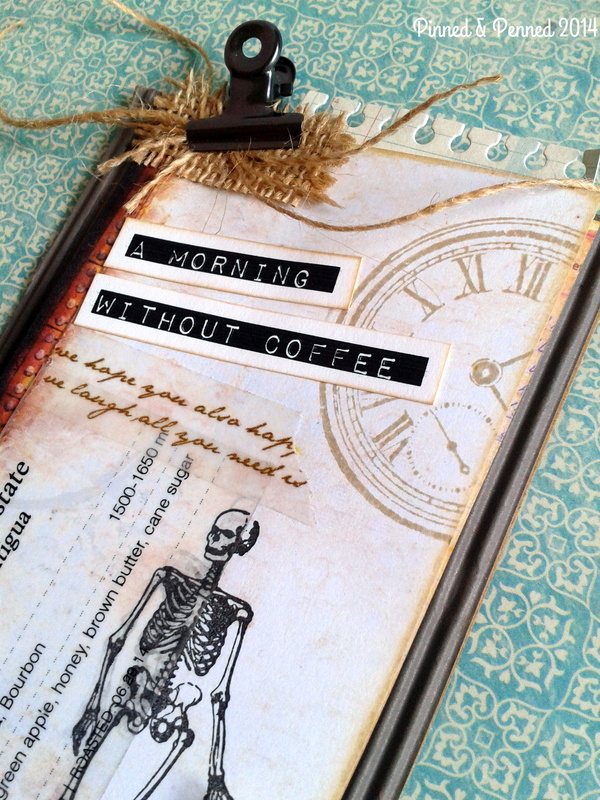 This girl could use some coffee to power through the rest of this post! You may need some too! 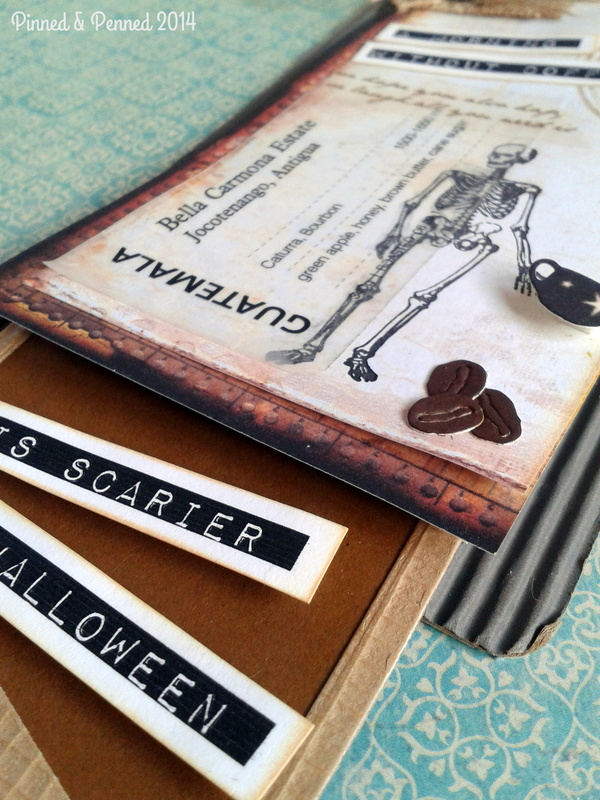 And speaking of coffee, that’s what this highly anticipated post is all about! 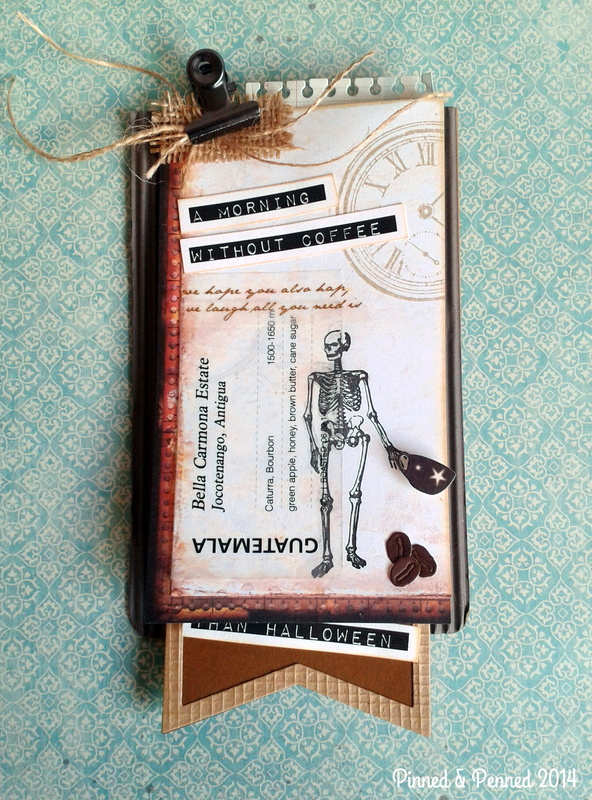 For the last few weeks many of us in the online paper crafting world have been talking coffee and using it as inspiration for creations that will be showcased today over on Chaitali’s website Cuts, Crops and Creativity. A quick gander over to the post puts participants at 170 already (as of 12pm PST!). While I won’t have much time today to travel around to everyone’s sites, as we will be hiking and then en route to Seattle, I look forward to doing so throughout the week! So what did I come up with for this event? Sit back with some coffee and get ready for a photo-heavy post! First Up: A frightening prospect! Ever have a morning when you head into the kitchen, blurry eyed and fumbling for the beans, only to find that none are left? Luckily we have a pretty decent coffeeshop right down the beach from our house; however, I really enjoy grinding a single origin coffee from Seattle Coffee Works, Slate or many of the fabulous small roasters, and brewing in my French press first thing in the morning. So when our canister is empty, the morning gets off to a scary start indeed. 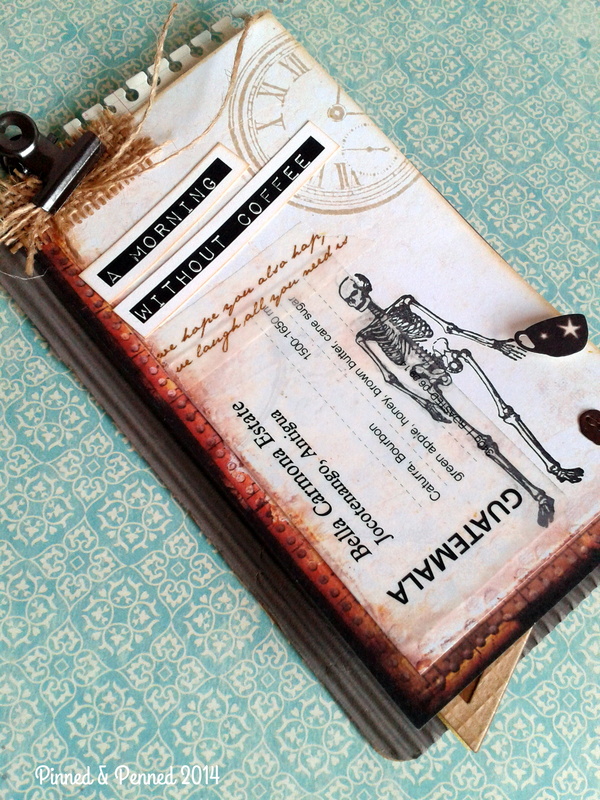 I’ve used Distress Inks for all my stamping and edge distressing, except the skeleton, who was stamped in Versafine Black. The clock is from Deep Red Stamps. I made my own Dymo labels with a font on my computer, printed out, cut and distressed it. 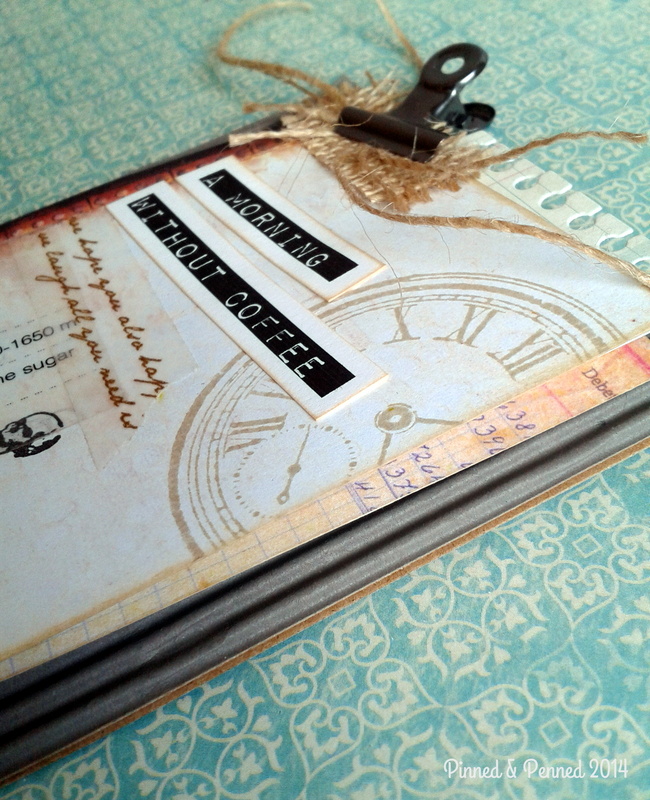 My cards and tags feature quite a few dies: PTI Spiral notebook page die, MFT large banners, Impression Obsession coffeebeans, and Memory Box mini mugs. A terrifying thought, right? But a pretty cool card! I am really happy with how this little number turned out. 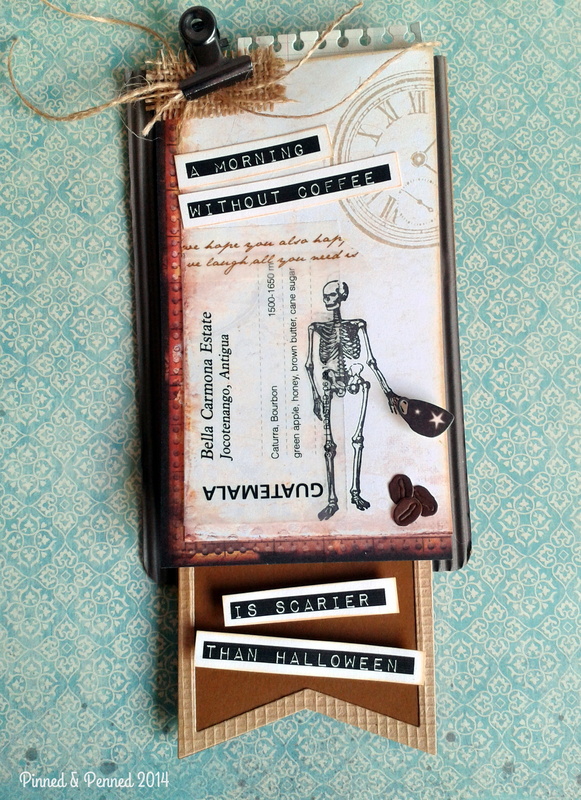 I initially came up with the phrase and knew I wanted to use my Victorine Originals Skeleton; however, the rest of the card evolved slowly, with the pull-down banner as an ah-ha moment! 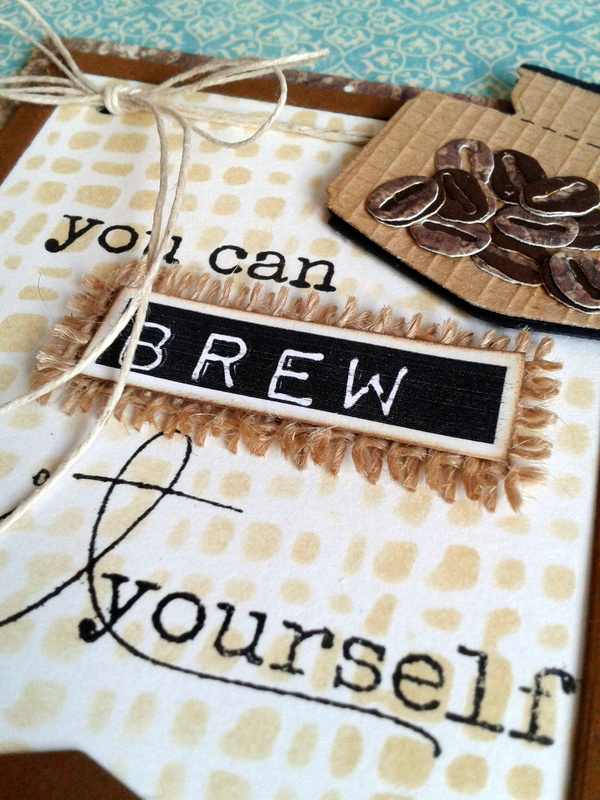 If you happened to see my coffee-inspired clipboard card that I made back in April, you will note some similarities in the design of the two cards. 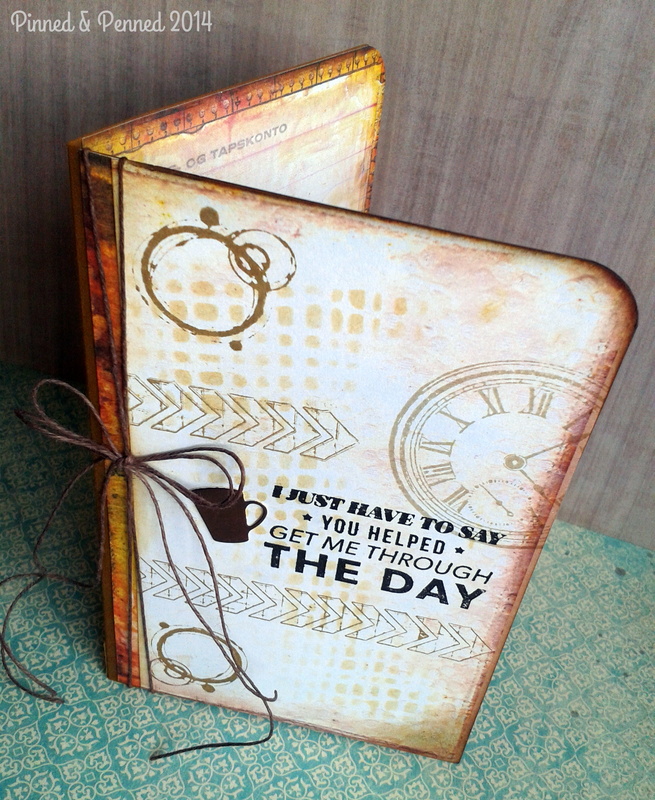 For all of my pieces here, I am featuring mostly the Prima Sunrise Sunset papers. The Guatemala coffee sticker was repurposed from a bag of beans by the roaster Bows and Arrows out of Victoria, BC. We toyed with the idea of taking the Black Ball ferry over there for the day this weekend since we were right across the water in Port Angeles, but there’s just never enough time for everything. A day spent strolling around Victoria is always a lovely idea though! Check out Bows and Arrows in person if you happen to venture there or online! 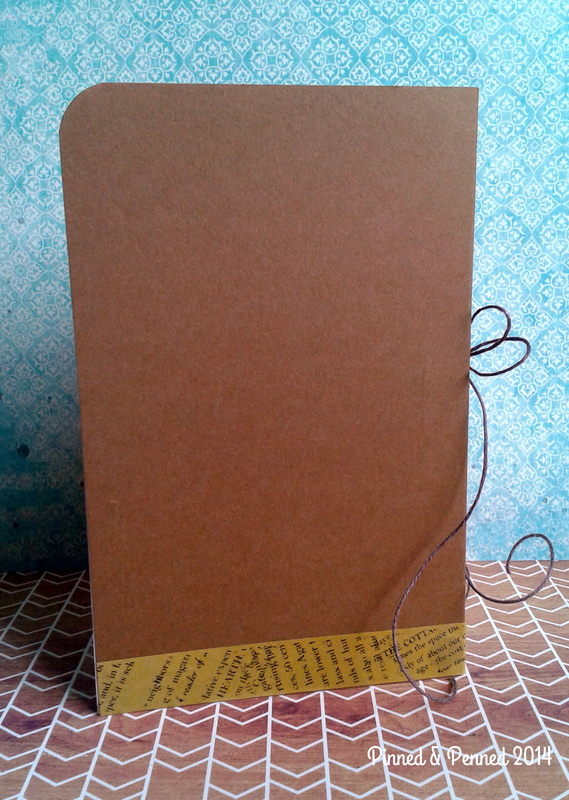 Since the second half of the sentiment would not fit on the front of the card, I needed to figure out where to place it. After some playing around, my PTI Movers and Shakers die came to mind and I came up with sliding sentiment banner! 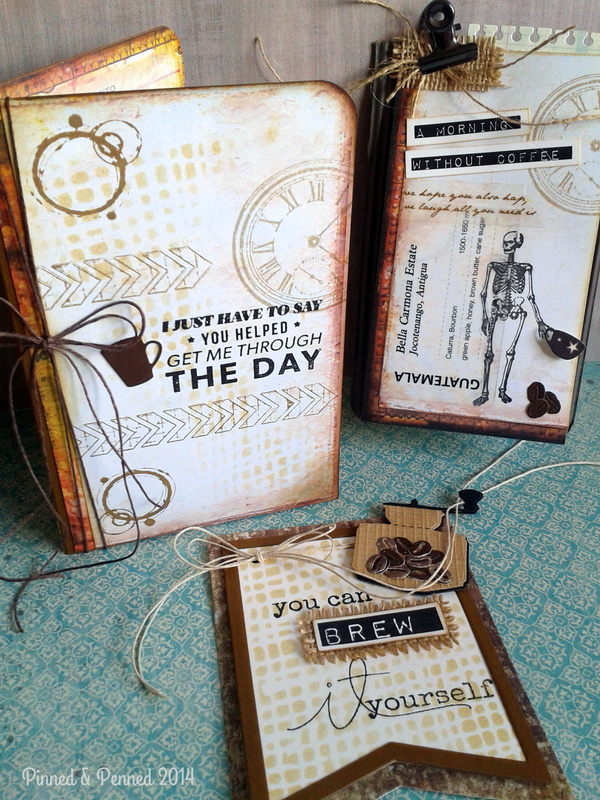 For the back, I die cut the ‘to’ and ‘from’ with Mama Elephant dies, and stamped the paper with some coffee rings from an Inkadinkadoo set. 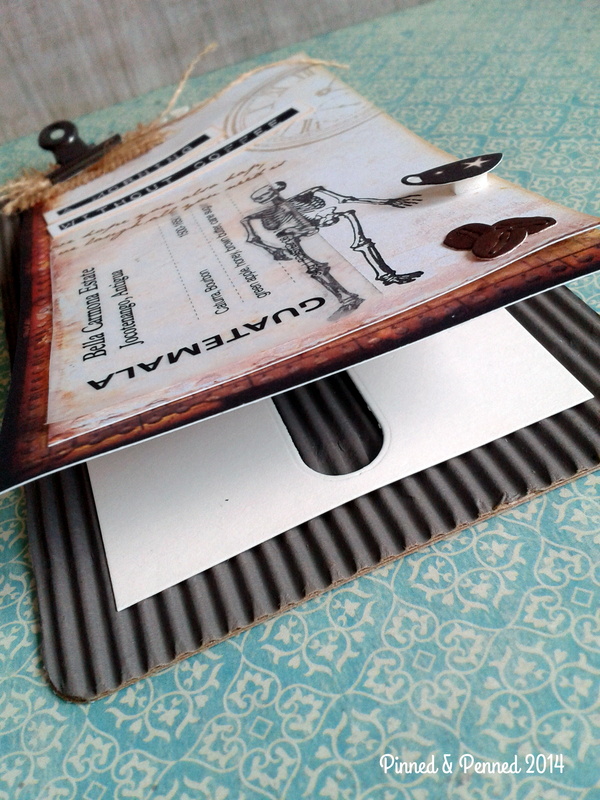 You can see here the detail of the paper layer inside the clipboard. 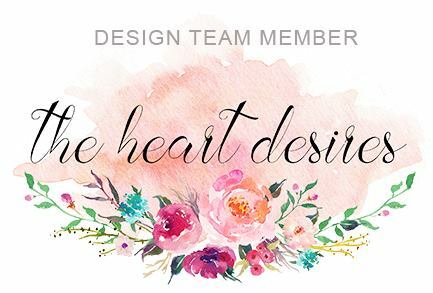 Love those beans from Impression Obsession–they really were the reason why I had to buy that set at the very last moment before I made my cards! For this card, many of the same themes continue. 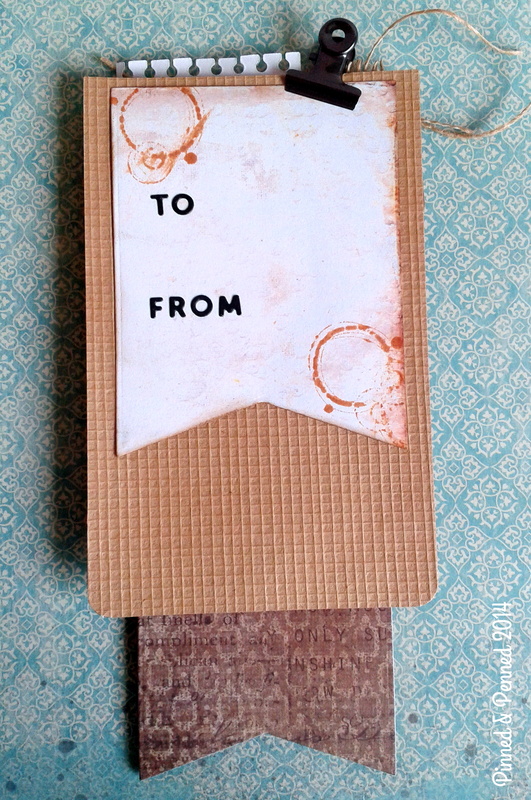 I actually started with the sentiment from Kelly Purkey’s set “I Like You” and built the card around it. 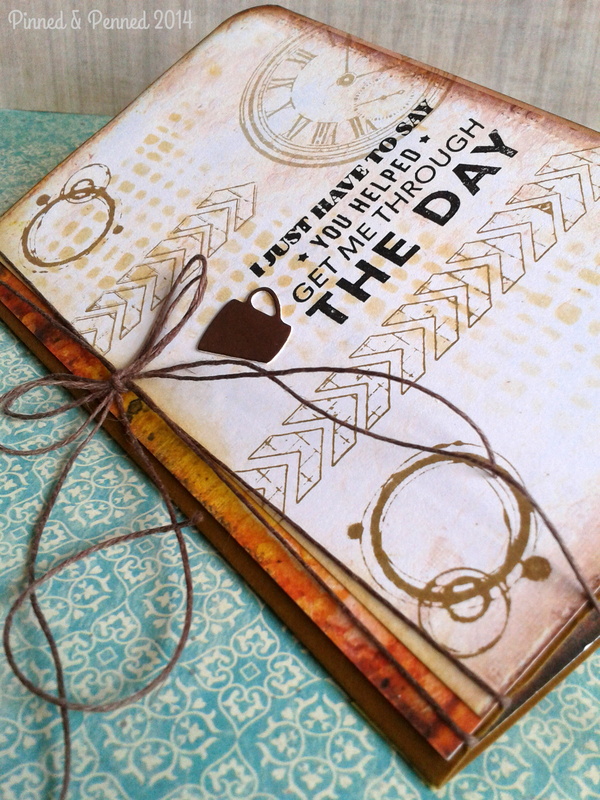 I distressed some of the Prima paper and used a Tim Holtz burlap stencil for the background. Precious Remembrance provided the chevron stamp. The Memory Box mini mug makes another appearance, along with some hemp twine. 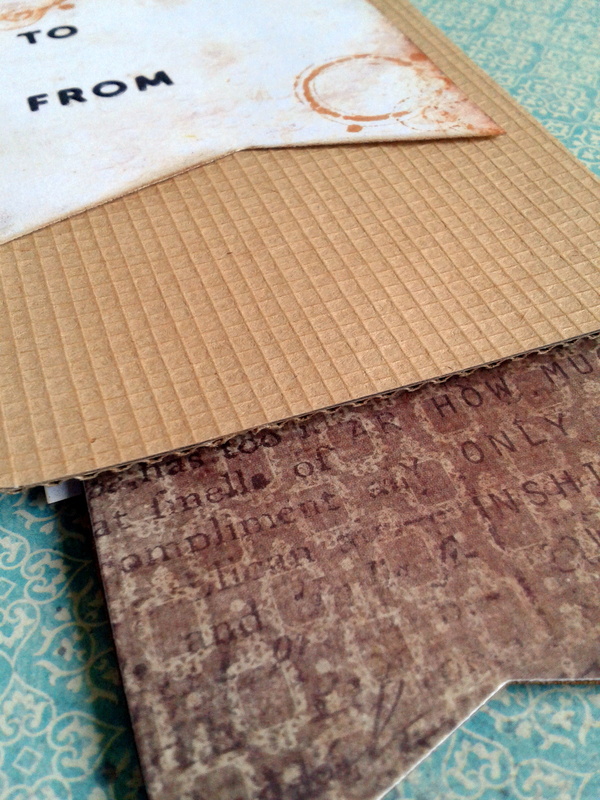 The inside is layered with some more Prima paper and the back finished with washi. 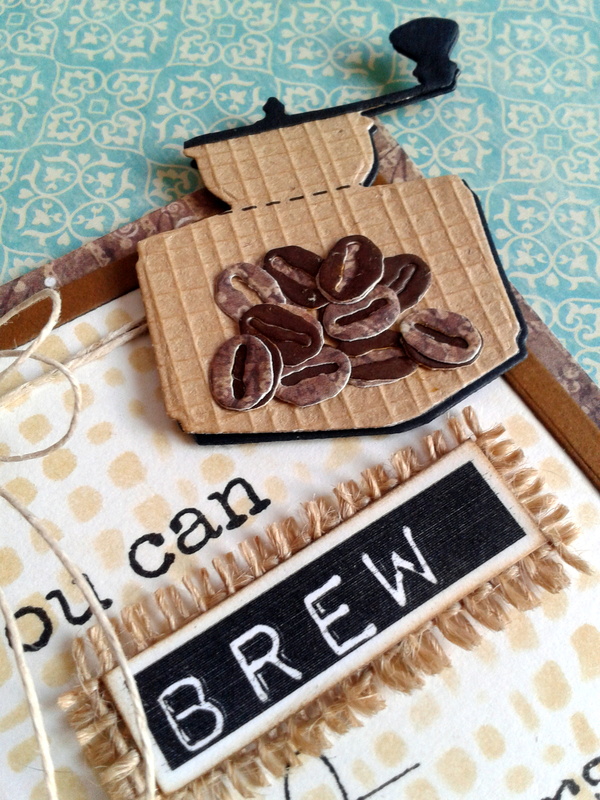 Finally, for the love of beans and the coffee lover herself, a small gift tag! Again, I got a little cheeky with the sentiment! 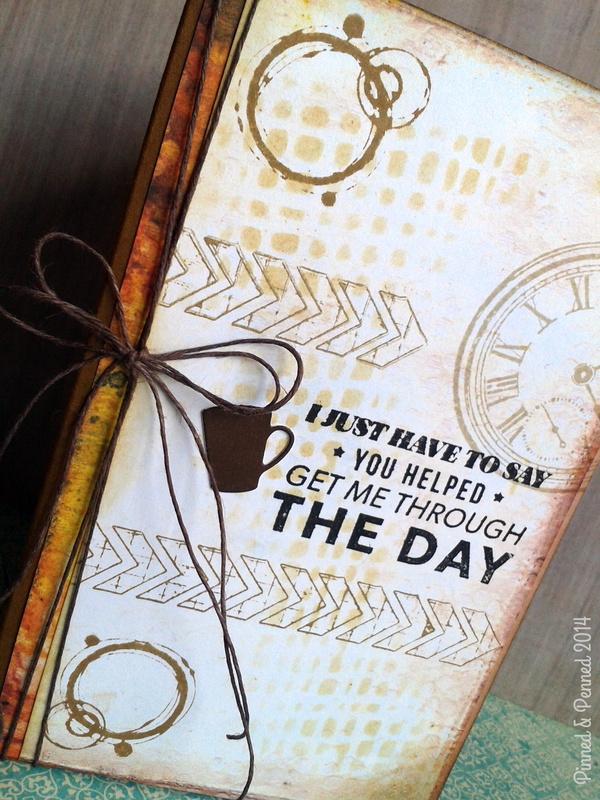 The stamped sentiment is also from Precious Remembrance. The hand-crank coffee grinder is from the Impression Obsession set, cut on woven paper from DCDW (I strategically cut along the top of the paper where there exists a little dotted cutting line). I layered the crank of the grinder and then created a shadow with an additional layer of black. Can you even stand those beans?? I cut many of them from paper I distressed with Walnut Stain, and layered with Gina K Cocoa cardstock and some patterned paper, also featured on the tag. And here’s the trio in all their glory! Well, this ferry is almost ready to dock (literally and figuratively! ), and I need to link this up over at Chaitali’s site. 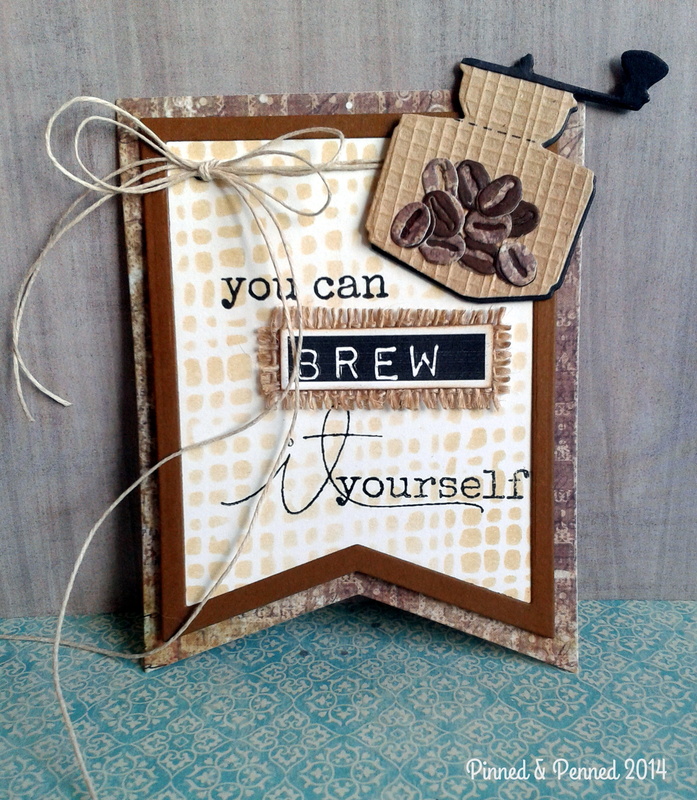 I sure hope you will hop around and see what other coffee inspired cards have been created by so many talented paper artists! 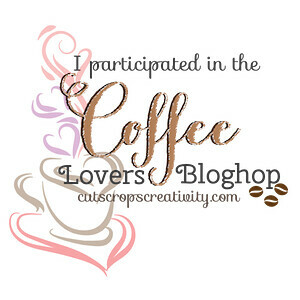 I also hope you will stop back here tomorrow, as I will be participating in another blog hop– this time the Creative Bloghop: Getting to Know Me. 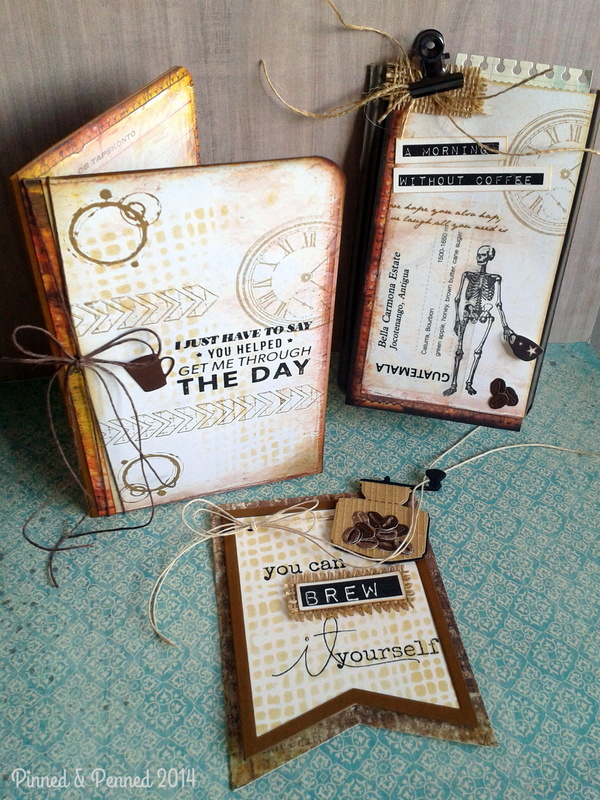 You will learn more about my creative process and meet some fine paper artists whom I adore. I had planned on posting that today as well, but honestly, no amount of coffee could keep me composed or composing at this point! So I will see you after a goodnight’s sleep and a full mug in the morning! Good grief! A coffee extravaganza! You’ve made coffee edgy and cool! 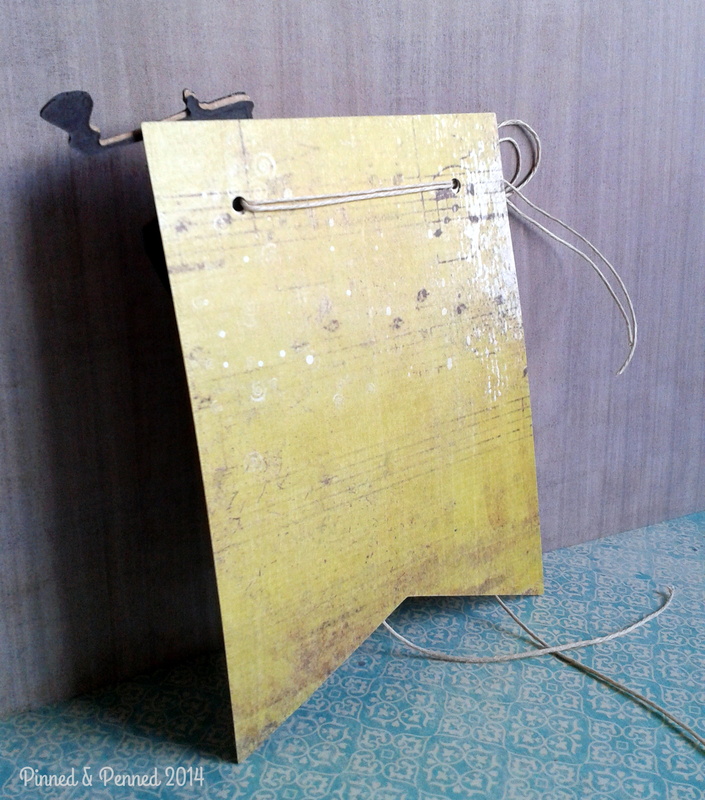 Love the different projects- off to pour myself a cup! Kate, all 3 of your projects are amazing! I always love finding all the sweet details in your work! Wow these are all stunning creations!!! I am late getting around. I love all your projects and the wonderful details. 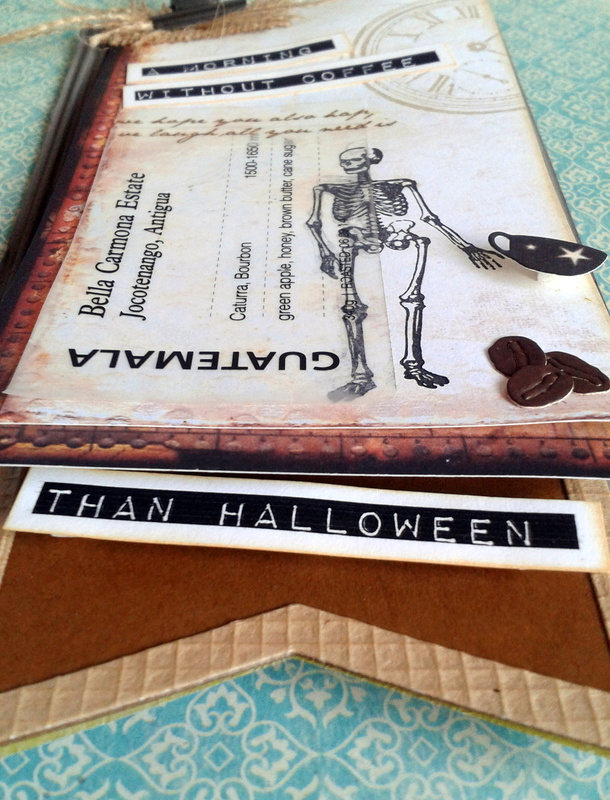 My fave is all the texture and burlap!